BOULDER, COLORADO -- Moises Gadea, a modern trovador, or singer/songwriter, from Managua who was once declared "Songwriter of the Year" by the Nicaraguan National Assembly, is headlining several unique cultural events during an upcoming U.S. mini-tour. Gadea's debut mile-high performance is Saturday, September 8, 2012, at the Nomad Theater in Boulder, at "A Night in Nicaragua" (tickets are $25 in advance or $30 at the door), a celebration of Nicaraguan culture and also a fundraiser for Empowerment International (EI), a Colorado-based non-profit organization which operates a tutoring center, photography club and other programs for schoolchildren and their families in Nicaragua. "Each ticket sold," Director Kathy Adams says, "will enable EI to fully support, with their myriad of programs, a child in school for a month." 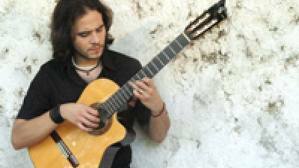 Gadea will perform at a second event on Saturday, September 15, at Havana Manor in Longmont -- also a fundraiser for EI. 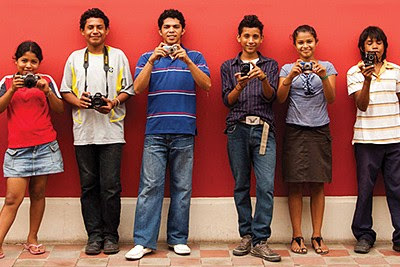 At both events, in addition to live music, there will be silent auctions and raffles for high-quality, hand-crafted Nicaraguan chocolate, coffee, ceramics, hammocks, cigars and framed prints from Empowerment International's Photography Club for children (preview and/or purchase prints here). Moises Gadea has shared the stage with such trova legends as Silvio Rodriguez of Cuba, Alejandro Filio of Mexico, Duo Guardabarranco of Nicaragua and Daniel Viglietti of Uruguay. This is his first trip to Colorado. He will be performing songs from his latest CD, Colección, a greatest hits album that is available on iTunes. At the Nomad Theater event, Gadea will be accompanied by local musicians Sean Gaughan and Michael Mitchell, of Big Paddy, a popular Colorado-based Irish band. 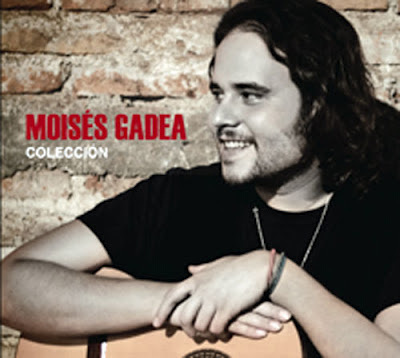 I first met Moises Gadea in 1998, during a set break at an outdoor café concert in Managua. I was out with my fellow Peace Corps trainees and Moises was playing in a band called IXMANA, which mixed traditional Nicaraguan rhythms with newer, progressive songwriting. He went on to play with half a dozen other bands, spanning traditional folklorico to hard rock with a political edge. All the while, he stayed true to his careful blend of respect for his culture and elders, and his own forward-thinking compositions. "I'm happy to finally be playing in Colorado," Gadea said. "It is a new opportunity to play a nice venue, and to a new audience." He added, "These are special events. I am sure people will come out to support this noble cause of solidarity with Nicaragua and its children." Gadea's current hit, "Soy Migrante" (also called "Inmigrante") in the video below, is the title track to the documentary film, Y Me Fui, about migrant workers. "Inmigrante" is about Central American immigration issues, about living far from one's family while keeping one's hopes and dreams alive -- but the song speaks to a wider community at the same time. The same goes for Gadea's other songs about social justice, or about the struggles and dreams of children in Nicaragua. "No tengo amiguitos," sings the narrator of the song, Miguelito, "juego en las esquinas/ a capear los carros y a salvar mi vida/ Salgo en mañanita... / Vendo mi agua elada para continuar viviendo... Quiero ir a la escuela, poder aprender ... ser un navegante de un barco velero/ viajar por el mundo, no tener fronteras." I have no friends, I play in the street corners/ dodging cars to save my life/ I leave in the early morning... / I sell bags of cold water to keep living ... I want to go to school, to be able to learn ... to be the captain of a sailboat/ to travel around the world, without borders. Empowerment International works with children and their families in two impoverished communities in Nicaragua: one an urban slum outside of the colonial city of Granada, the other an isolated rural farming community in the state of Masaya. Most families live on less than $2 per day and most adults have a third-grade-level education or less. For them, the need for their children to contribute to the family income outweighs the long-term benefits of education. In short, education is not a priority. EI works to overcome this neglect of elementary education by supporting children's education materially and, most importantly, by fostering and encouraging a new attitude among families toward education. The strategy is to build a generation of empowered community members who value education and who, in turn, will lead the next generation to achieve even higher goals. The approach is holistic as well as community-based, with locally hired staff, resources and training. Joshua Berman is the author of Moon Nicaragua and is also a Spanish teacher and Denver Post columnist. His website is http://joshuaberman.net. He is helping to organize the September 8 event in Boulder.